I purchased the Glif via the Slow Fast Slow app on my iPhone a couple of weeks ago. 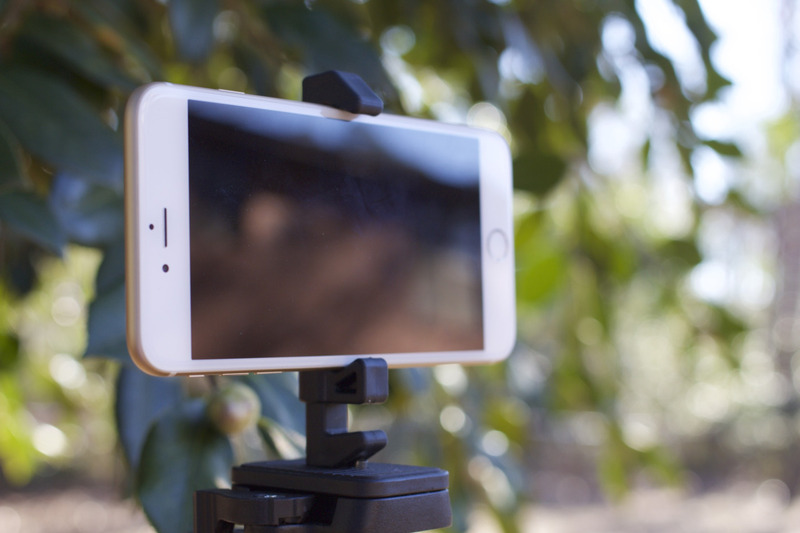 Glif is a tripod mount for your smartphone. It works with almost any device, at least it works with all the devices I have; which include: iPhone 6 Plus, iPhone 6, iPhone 5, iPhone 4s, and Nexus 4. It is fully adjustable, those adjustments are made using the included hex key and you simply slide the bracket apart or closer together depending on your device width. You can also use the Glif as a kickstand to prop up your iPhone (or whichever smartphone you carry) for typing or watching Vimeo videos. The Glif cost $30 and if you are on an iPhone you can use Apple Pay right within the app, like I did. Simply download the Slow Fast Slow app for free in the App Store, then tap the Studio Neat icon in the lower left of the app to open the direct link to purchase the Glif. Once you open up the store simply tap the Apple Pay button on the bottom of the screen. That is it, a few days later your Glif will arrive in a beautifully packaged cylinder. You will get the Glif tripod mount, you will get the hex tool used for adjusting the width of the Glif, and finally you will also get a keychain attachment that allows you to carry your Glif everywhere with you! Did I mention the beautifully designed cylinder it comes in? Yeah, you get that too and it is worth keeping! If fits great inside my camera bag. More info? Check out the Studio Neat website. Making the Glif from Studio Neat on Vimeo.